I found this doll as I was cleaning out an old house. Could you please tell me anything about her? This has me stumped. 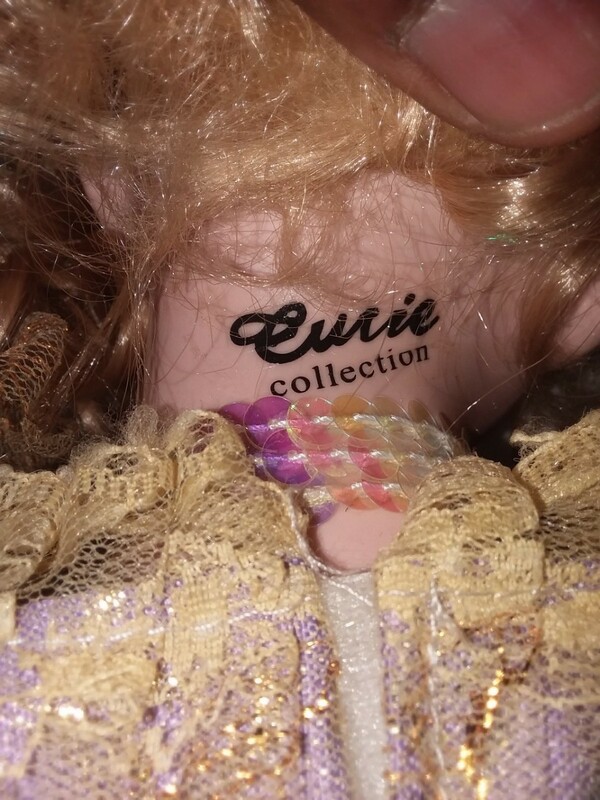 It looks like it says Curie Collection, but that is not familiar to me at all. There are Madam Curie dolls (but they look nothing like this lovely). I hope someone on this site like cybergrannie recognizes her. She looks modern to me (like from the 1970s or older...because from experience USUALLY these type of signatures are on more modern (AKA mass produced dolls). The really OLD dolls have numbers that were raised from the molds or you can tell they were hand painted on. This just looks more modern and "glassy". That said, that doesn't mean she doesn't have value. 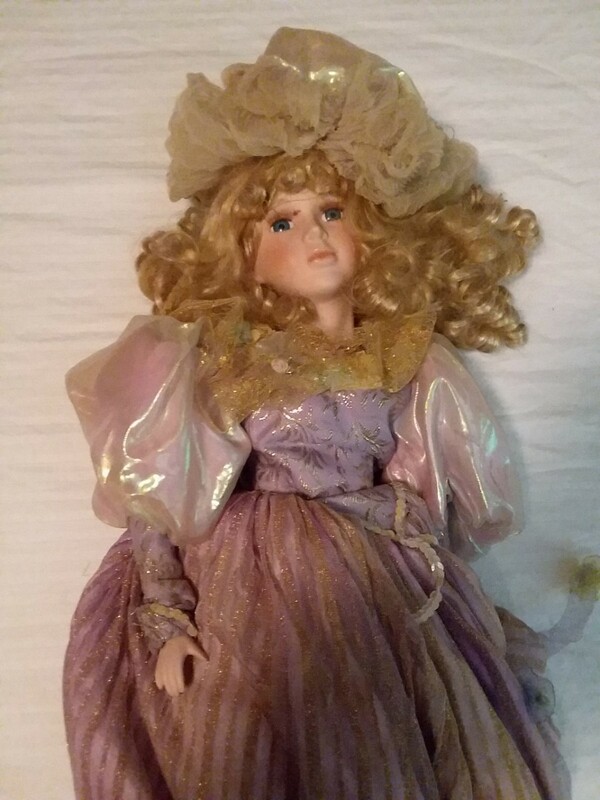 Once you ID her, you can check eBay and find what she has sold for (ONLY use sold auctions to value as that tells you what someone actually pays). If no one on this site can help, hopefully cybergrannie will give you all the sources she knows to ask. There are a lot of doll forums out there and some answer questions, some do not. I am drawing a blank on which do and which don't. Will look for others to chime in. I can help you value her, once we get her name! Thanks for posting her!! Any doll that says "Collection" is a mass-produced doll and worth less than you paid for it. It is pretty, so enjoy it.